*Graduation date depends upon your chosen program, and the number of transfer-in credits you have. Program length may vary. **Not all credits are eligible to transfer. 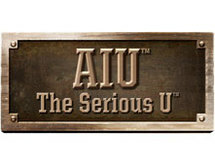 See the university catalog regarding AIU’s transfer credit policies.